The Peterborough Curling club is one of the older clubs in Ontario dating back to 1876, the year that the curling club joined the Ontario Curling Association. Available records indicate the club was in existence a generation earlier with curling taking place on the river, ponds and raceways, it would seem these were somewhat formative years with the Club in the process of building a core of members and attempting to establish a permanent location. The club was formed on November 9 1859. at a meeting of men about town in the Casey House, an old hotel on George St. which became the Bank of Nova Scotia. The original officers elected that November night were President A.S.Fraser, vice president, D. Sutherland, A.Munro, secretary: Thos.White, treasurer and the Rev. James Douglas, chaplain. Members of a general committee, W. Johnston, James Meyers, Harry Calcutt, J. Palmer and Duncan McGregor. In the early years games were played on Spauldings Bay, a wide stretch of Jackson Park creek just before it emptied into the Otonabee River. The present Chamber of Commerce sits on the Bay, which was eventually filled with sawdust from the nearby Alfred McDonald sawmill to provide a storage yard for the lumber. This area was also known as the Goose Pond but the geese headed south once the curlers took over. Games were announced by means of a notice in the weekly papers, by word of mouth and by handbills in the post office. Those first curlers had to be content with an assortment of "stones", some made of granite, others of melted down iron and some made of blocks of wood hollowed out, filled with lead and a steel shoe for a running surface. In 1972 a local scuba diver Doug Townsend discovered an iron stone while diving in the Otonabee River. An Ashburnham lumberman, John Ludgate built the first rink in 1862. It was located the east side of the river close to what is now known as Riverside Park. In 1877 fire destroyed the wooden building and a 3-sheet rink was erected on the west side of the river near the site of the present Quaker Oats cereal plant. In 1883 the Peterborough Curling and Skating Co. was looking for a new home and purchased property on Charlotte St. from boat builder William and Caroline English. In 1885 the 3-sheet structure was dismantled and moved to Charlotte Street. 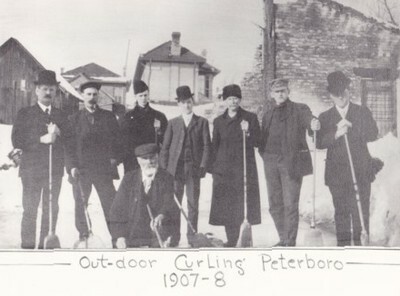 In 1906 a public company was formed called The Peterborough Curling Rink Limited. Its purpose was to acquire and maintain a curling rink facility. Letters Patent were received from the Lieutenant Governor of Ontario dated March 21 1906 authorizing the issue of up to 1000 shares at a par value of $10 per share. With the proceeds, the property and rink on Charlotte St. were purchased for $4500. On Jan 2 1908 the Club burned down, but this did not stop curling activities. A hut was built at the rear of the premises and the game was kept going all winter. At this time consideration was given to selling the property and relocating the facility, but the tenders for the property were not high enough and the Board of Directors decided to rebuild on the same location. The Baptie brothers for a tendered cost of $6,895 completed the new building in 1909. 1957 brought a major addition to the facility in the form of club room space and kitchen facilities over a portion of sheets six and seven on the east side of the building. A second major renovation was made in 1966 to provide locker and washroom space over sheets one and two and to extend the lounge space the full length of sheets six and seven. In 1974 a new entranceway was provided to Charlotte Street. Fire plays a prominent part in the curling clubs history as a third fire occurred Sunday December 16 1984. 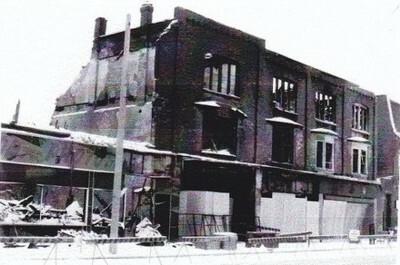 This $3 million dollar fire destroyed the building as well as a section of Charlotte Street between George and Aylmer. Once again the curlers were homeless. The membership was able to curl that winter through the generosity of other local curling clubs that offered ice time. A rebuilding committee was established and the club looked at a number of options, including rebuilding or purchasing another building to renovate. In April 1985, 400 curling club members and shareholders met at the Kawartha Baptist Temple on Lansdowne St. and approved the purchase of the church and 17 acres of land for $448,000 as well as the sale of the Charlotte St. property. 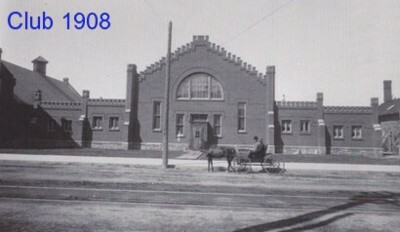 The new club was built at a cost of approximately $1.4 million. Major renovations were required to extend the church auditorium into a curling rink but architects, engineers and a construction firm were lined up quickly and with the help of a very active volunteer membership the curling club was resurrected and the first bonspiel was held in November 1985. 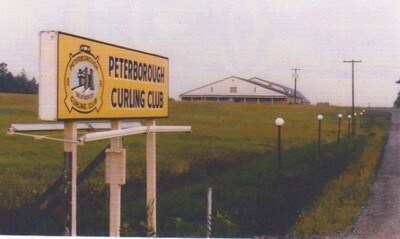 Over the years the Peterborough Curling Club has served as a community resource. The Peterborough Figure Skating Club used the facilities in the late forties and early fifties. During this time the Figure Skating Club expanded dramatically and graduated several members to the ranks of professional skaters. Perhaps the most noteworthy was Donald Jackson of Oshawa, World Championship Gold Medallist in 1962. The annual Kids’ Cordwood Bonspiel was held at the club until the event outgrew our facilities and moved to an arena. Service clubs, special groups, and industrial organizations use the Club for bonspiels. The local grade and high schools, Sir Sanford Fleming College and Trent University also run curling programs for their students. The present facility has also provided a location for numerous weddings, receptions, as well as a summer time training ground for curling and ice making schools. Over the years there have been all manner of events, bonspiels, competitions hosted by the Club. These range from local events to provincial and even national finals. The Club hosted the Scottish touring teams in 1903 and once again in 1958 the ladies group hosted the Scottish ladies tour. The curling club, where women could only watch initially and not curl at all until 1910 is today divided equally between men, women and junior sections. Its 600 members of all ages and skill levels keeps the rink full from early October till early April.